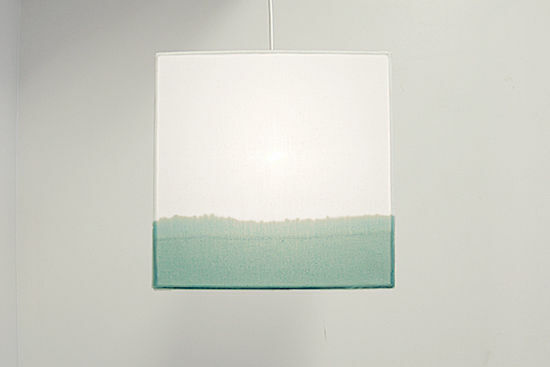 this week you can win a pendant light from waves of white! they’re such a fun way to decorate with geometric shapes and fun colors. 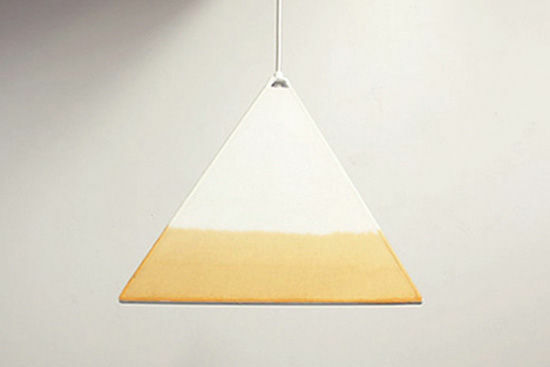 i really like these dip dye pendant lights! which is your favorite? 1) visit the waves of white site and take a look around! one winner will be chosen on wednesday, july 15th at 10am PST. open to international readers! use the coupon code LOVEFEST10 for 10% off through july 31st. Really like both of the below, dip dye adds such a fresh burst of colour to items. My two favorite products are the Cube http://www.wavesofwhite.com/product/cube/ and the Dip Dyed Pyramid http://www.wavesofwhite.com/product/dip-dyed-pyramid/ !!! It ties my three favourite design features: natural wood, rustic materials and colours plus the geometric wire cage around the globe gives it a bit of a modern lift. Very interesting piece. Loving both the pyramid shapes! I love the moon light! The pyramid light is my fave. Its description sums up my work space perfectly – it’s my creative space, but it sure was a ‘forgotten corner.’ When I inherited it, it was painted a faded yellow, with worn blue carpet, an old grey/green office desk and minimal lighting. I’ve painted it white, injected some personal pieces and shown it some love. 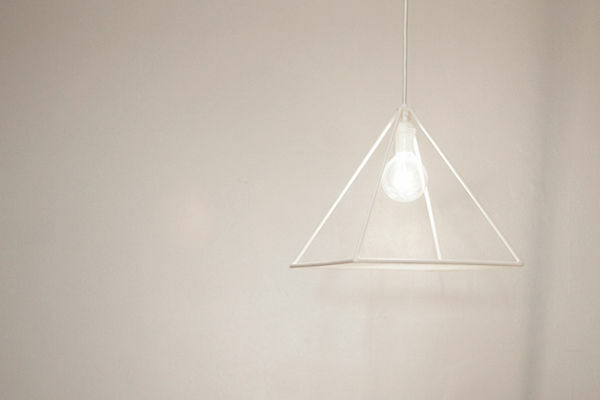 Now I just need a light like the pyramid light – nice and simple to add the finishing touch! Love the dyed cube and moon! Thanks for the website, I will definitely keep it in my favorite! These are so beautiful! I’m so impressed that people develop such interesting and unique products. I love the dip-dyed moon http://www.wavesofwhite.com/product/dip-dyed-moon/ so much! I love the dip dyed cube in Mulberry! the dip dyed cube in cyan would be amazing in my kitchen. thanks for the opportunity! The moon lamp! So simple and perfect. I love the dip dyed moon! It’s nice and minimalist, and the pink ombre would match my bedroom aesthetic perfectly. Thanks for the giveaway! The dip dyed moon is very cool. It would be a great replacement for the hideous hallway light that came with my house. 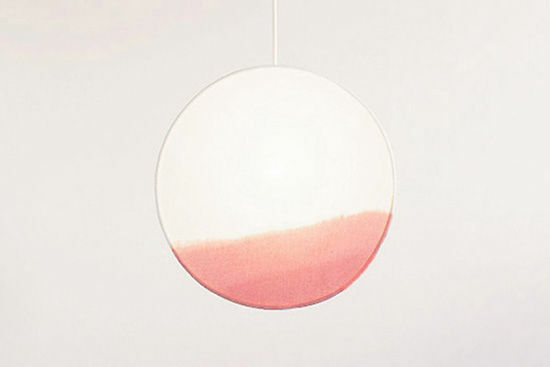 The dip dyed moon lamp is soo adorable and the favourite out of everything I saw. Ive never seen anything like these before!! I can’t choose. I love the detail of the dipdyes especially on the Moon. My favourite by far is the dip Dyes Cube http://www.wavesofwhite.com/product/dip-dyed-cube/ . Would be a great addition to my apartment! The dip dyed moon lamp is so cool! I love the simple, clean look of the moon. I love pendant lamps with cords which I can plug in and hang-hard to find. Also, the fact that these are dip dyed to order make this item so unique-this is my favorite in mulberry,please! Love this one in orange slice! Also absolutely LOVE the Sunset light! The dip dyed moon for sure! I love the Dip Dyed Pyramid in Orange Slice since it really reminds me of the Pyramids. I can imagine it glistening over our dining table while I have breakfast of bacon and eggs. When the Sun begins to set outside it will shine through our glass frontage and kitchen windows and make me dream of faraway… the Sphinx, the Nile…and Nefertiti. And at night when It is the only light shining on our dinner conversation with guestsI will remember to add a little more mystery to game. I love the dip-dyed moon! I love the dip died moon lamp! I love the simplicity of the cube lamp! It would look great in any space. I love this: http://www.wavesofwhite.com/product/moon-table-lamp/ great for my new space i’m moving into! I LOVE the dip dyed moon!! It would be perfect for our mid century modern home! It’s a toss up between the dip dyed pyramid and the swan table lamp! In LOVE with this sunset lamp!!! I love the simplicity of the pyramid. I feel like this quality really gives it versatility and would love to see all the fun and creative ways it could add to a space. I love the Swan Table Lamp! The dip dyed moon in mulberry is really wonderful! I love both of the table lamps the best! I LOVE THIS DIP DYE PYRAMID! Job well done Waves of White!! The Swan Table Lamp for sure!! I love the orange slice dip dyed moon. I have a very subtle moon theme happening in my 3-month-old son Diego’s room and this would practically complete it! The white Pyramid pendant is absolutely gorgeous! It would look amazing in my all white kitchen. I cant decide between the dip dyed pyramid or the dip dyed moon but both would add an amazing accent to my dinning room! what lovely products! the dip-dyed pyramid is basically my dream lamp! Love the pyramid – it look great from all sides! The swan table light is very cool! Loving the dip-dyed moon pendant, so unique & lovely! And maybe if I used a dimmed light bulb instead of a regular one, it would be perfect for a bedroom to fall asleep to! I’d love the Moon pendant for my kitchen! I love the Pyramid pendant! It would add a ton of visual interest over my black, round dining table and simple silver chairs. god i want them all!! the moon table lamp is particularly great. The dip dye moon! I NEED IT. Mooooooooon 24 hours a day! Love that Moon Table Lamp. The ‘Swan Table Lamp’ and ‘Dip-dyed moon’ are on my wish list!! Beautiful!! moving in a few weeks and love these!!! The moon table lamp is my favorite! I love the Dip Dyed Moon! Would take it in cyan..
need this. the dip dye is so fun. just love these two pieces of art! Definitely the dip dyed cube, or pyramid. They’re bomb. I love the Dip Dyed Cube! I need this for my bedroom! I love all of them, but I especially like the square one! Gorgeous and fun! I a purest and love the moon pendant. How beautiful this would look lighting the way of my writing. http://www.wavesofwhite.com/product/dip-dyed-moon/ love the moon and dip dye moon! these are just too pretty! These are gorgeous! I love the Dip Dyed Moon in Mulberry or any of the colors! I love the imagery of the moon as a cozy accent in your home. The dip dyed pyramid is to die for. The Swan Table Lamp looks like a great desk lamp. Would look great in contrast to my aqua-painted desk. The pyramid lamp is pretty awesome! They are all so lovely. I would have to say my favourite is the pyramid. But I can also see the moon table lamp sitting nicely on my side board. I would pick any of the dip dye ones. But I think I would have to go with the cube or pyramid. I especially am fond of the Dip Dyed Moon in Orange Slice. It would look gorgeous! Another favorite definitely has to be the Dip Dyed Cube in Cyan. It would make any space so beautiful! i just moved into a new apartment in June and this would be an excellent addition to the decor. Oops forgot to add a link above. My favorite is the dip-dyed moon! I would love to win this so I can give it to my mom. Oooh! I love the Dip Dyed Moon and the Moon Table Lamp! Pink Dyed Moon is just beautiful!!!!! the dip dye is awesome! My favorites are Cube and Moon. the mulberry color is great! Aww I love this one! I am feeling the pyramid tonight. Thanks for the giveaway! I love everything, but my faves are the Swan Table Lamp (http://www.wavesofwhite.com/product/swan-table-lamp/) and the Dip Dyed Pyramid in Mulberry – the open sides are a cool surprise! (http://www.wavesofwhite.com/product/dip-dyed-pyramid/). I love the dip dyed cube! Omg I live all 8 things , these are simply amazing. Thank k you for giveaway . what amazing products, I’ve never seen anything like it. I love how unique they look but also so simple. Love the pops of color! Either of the moon lamps are beautiful and would create an awesome ambiance in a room. These are so unique… this is my favorite! I love LOVE the moon lamp. I think the dip dyed cube is awesome! And it comes in other colors! Woo! I love the dip dyed moon in orange slice. It would look beautiful over our dining room table. It is so unique! I love the dip-dyed pyramid !! The Dip Dyed Pyramid would be a great addition to my workspace! All the dip dye pendants…amazing! Dip Dyed Cube, all day and all night! the dip-dyed cube..that blue is dreamy! Love the Dip Dyed Moon in Mulberry! I love the plain white ones most of all. Also love the straight forward names! dip-dyed cube is soooooo cute! The dip dyed moon! I’d actually use in my kids’ room. Perfect for singing good night moon, and the pink color would rock my daughter’s world. I love the Moon Table lamp and Pyramid light- both of which would compliment and jazz up my new apartment! The hanging moon & table top moon are MAGICAL. The pyramid in cyan is sooooo pretty!!! Who couldn’t love a dip dyed moon??? Gorgeous! The moon table lamp and the dip-dyed moon! The dip dyed moon (and other dip dyed shapes) have perfection written all over them! like this one, good design! any of the dip dyed series are just beautiful! I like the Moon Table Light — the natural wood base and the size/shape would make it a great ambient lamp. These are such innovative and creative pieces of art. The dip dyed lighting is incredibly charming! The dip dyed pyramid lamp would be perfect in any space for working, entertaining and daydreaming. i love the dip dyed cube! bout to move into my first big girl apartment post-college and i’d love to actually own some of my belongings for once. Oooh, it’s a tie between the dip-dyed moon and cube — both are wonderful and would look great in our home! I love the Cube pendant but these moon lamps are everything! Love the dip dyed cube! I love the subtle colors of the dip dyed moon! This is so dreamy and would really soften the look of any room. Love the Dip Dyed Moon!! Love the dip-dyed moon! It would be lovely in my bookshelf nook. I love the pyramid and moon table lamp! Pyramid would be great for dining room, moon table in the bedroom. my favorite is definitely the Moon Table lamp! There are so many unique items. The dip dyed cube is neat. The Moon Table Lamp is my favorite, and the dip-dyed pyramid being the second. They’re all really wonderful, though, it’s hard to truly decide! I really like the teal cube! I love the cube lamp! Cant deceide, love the pyramid and the moon table lamp. Moon and cube are my favorite! The dip dyed ones are pretty too though. And the swan table lamp is beautiful! I love the Moon Table Lamp! dip dyed moon and the cube are perfect! I love the following! Such a gorgeous website, thank-you for showing us this amazing website. This one fooor sure. I’m all about nooks and moons. I love the dip dyed moon and the moon table lamp. They are both cosmically spectacular! So beautiful and I have been an admirer of your work for many moons now, Jane! So amazing!! Love the Dip Dyed Cube in Cyan. LOVE the dip dyed moon, especially in the orange slice color. Would look wonderful in my kitchen. I love the Swan Table Lamp. It’s fantastic! I think it would add a modern touch to our apartment while still keeping the warm home feel.